Wollondilly is a large Shire with a pristine natural environment and a number of historic towns and landmarks dispersed throughout. Located approximately 75 kilometres southwest of Sydney, it is part of the fastest growing region in the Sydney-Metropolitan area. 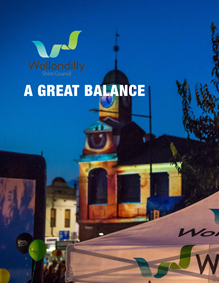 Over the last 15 years, the Wollondilly Shire has evolved in both population and economy, with major potential for even more growth in the years to come. Wollondilly Shire Council aims to capitalise on that potential, and they have assembled an expert team to help them do it. Tate Ryan, as Economic Development Manager, is a key member of that team. Tate has been working in the government sector for over a decade, with roles in the Japan External Trade Organisation, the Hong Kong Economic and Trade Office, Invest Australia, and the NSW Trade and Investment Department. Throughout his long career, he has worked with hundreds of businesses across a variety of industries regarding investment, relocation, and trading opportunities – a skillset that serves him well in his current role with Wollondilly Shire, which he took on roughly a year ago. Like most people, Tate was attracted to Wollondilly due to its location on the south western outskirts of Sydney, at the foothills of the Southern Tablelands. The area is in close proximity to Wollongong, Sydney and Canberra, but at the same time, it’s separate from the busy city lifestyle, and is surrounded by spectacular natural beauty and rural pastures. Tate was also personally attracted to Wollondilly Council in particular, as he recognised that they were serious about achieving their economic outcomes. “Council has really put a specialist team together to look at economic development issues, to advise them, and to participate in the conversation,” he says. Coming into his role, Tate’s main objective was helping to finalise a new Economic Development Strategy, which is now complete and live on Council’s website. In addition to that, Tate and his team have spent the last year “getting out and about,” connecting Council to businesses and building relationships. 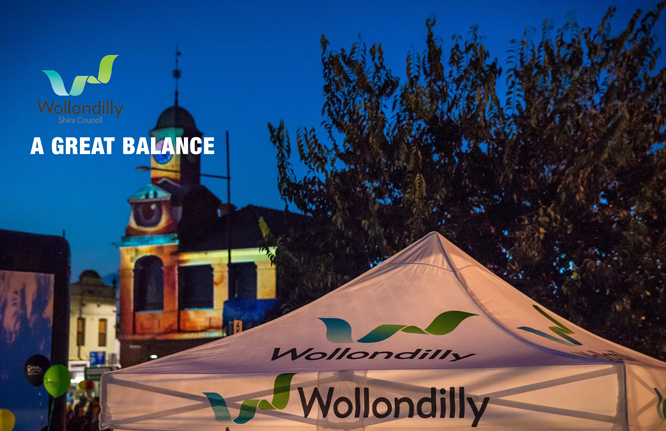 The Economic Development Team at Wollondilly Shire Council is dedicated to helping sustain local businesses. To reflect that dedication, they have facilitated a number of business support services. BizConnect, for example, is a platform that allows local business people to make connections with other serious business people. Tate says that it can be difficult to get the advice and help necessary to run a successful business, but the BizConnect network allows people to access the insights and assistance they need to make a difference. He explains that there are a number of ways that this contact is made, through seminars run, or through direct contact with other business people. Council’s economic development team also provides local business people with advice directly. By getting in contact with the Economic Development Team, people can organise appointments with business specialists or a member of the team themselves. This affords them the opportunity to ask important questions, and to get the advice that is required to make the best decisions possible. The economic development team, in tandem with the BizConnect service, is also available to provide businesses with mentoring and training that can help make running their business easier and less stressful. 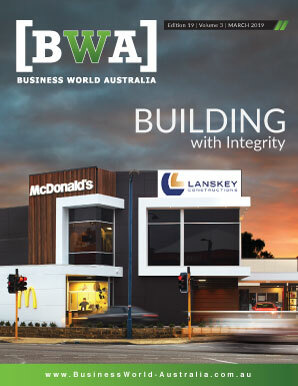 That eagerness to support and collaborate with local business is one of Wollondilly Shire Council’s main points of difference when it comes to attracting investment. Another point of difference is the area’s aforementioned accessibility – running a business requires effective transportation, and Wollondilly has access to numerous transportation routes. Hume Highway, for examples, runs east of the majority of the Shire, and provides direct access to Sydney’s CBD. It also passes through the major centres of the MacArthur region, including Camden and Campbelltown. Picton Road, meanwhile, provides direct access to Wollongong and subsequently Port Kembla – which is one of the major shipping ports not just in NSW, but all of Australia. This year will also see the rollout of the National Broadband Network (NBN) in the Wollondilly region, which will provide the region with fast, reliable internet service. That connectivity will give the Shire another infrastructure advantage over other regions. Then there’s Wollondilly’s lifestyle offering, which is highly appealing to families, especially growing families. Compared to Sydney and other neighbouring urban centres, housing in the area is affordable, and larger lot sizes are available for people who want more space than city living can offer. “But once again – we’re 40 minutes from the beach, and less than an hour away from major employment centres,” Tate says. A major area of future economic opportunity for Wollondilly Shire Council is Wilton Junction – an upcoming new community that is being developed to meet the housing needs of Sydney’s population. Wilton Junction will see the creation of up to 16,600 new housing lots, and approximately 360 hectares for use by local business. According to Tate, land has been identified as having a number of potential employment opportunities, ranging from retail, to agriculture, even to industrial opportunities. He says this will help make Wilton Precinct the fifth largest regional centre in NSW. “This development will provide Wollondilly with the ability to meet its growth needs, increase the number of people that are employed within the region, and upgrade and enhance the services and infrastructure that surrounds the area,” Tate explains. Wilton Junction is also planned to be a great place to enjoy life, by combining the best of city and rural living. It is set to feature community facilities, recreation opportunities, commercial and retail space, health and education services as well as civic and cultural facilities. More than 11,000 jobs are expected be focused around its new town centre, neighbourhood centres and employment zones. Wilton Junction – which is still in the planning stages – is far from the only development happening in the region. According to Tate, Wollondilly Shire Council is one of the busiest in NSW in terms of development applications. He estimates they have roughly 40 currently on the books of various sizes. Moving forward, Tate says that’s the vision – achieving balance.